What’s more exciting than the cherry blossoms and the crazy weather we’ve been having? Only one thing: Technomics Training Institute! TTI has been moving along, and our analysts have now gotten through module 7 of the CEBoK, Learning Curves. TTI is always fun, but that session was particularly absorbing with Brian Flynn pulling out trivia questions and hands-on activities coming from nuclear research, ship production, and bridge refurbishment. Did you know that M&Ms were invented for soldiers in WWII? We have also recently covered Data Analysis (presenter: Brian Truskin), Inflation (Brian Ullrich and Abby Snoznik), and Data Collection (Brandon Bryant and Rick Collins). Upcoming TTI sessions include Regression (Peter Braxton), Risk (Steve Tracy), and Probability and Statistics (Brian Kolstad). Technomics offers free, monthly training sessions to teach material from the Cost Estimating Book of Knowledge (CEBoK) ® through the Technomics Training Institute (TTI). These sessions, taught by cost estimating professionals, help prepare analysts for the International Cost Estimating and Analysis Association (ICEAA) Professional Cost Estimator/Analysts (PCEA) and Certified Cost Estimator/Analyst (CCEA) exams. TTI topics span overviews of Estimation, cost estimation techniques, analytical methods, specialized costing, and management applications. 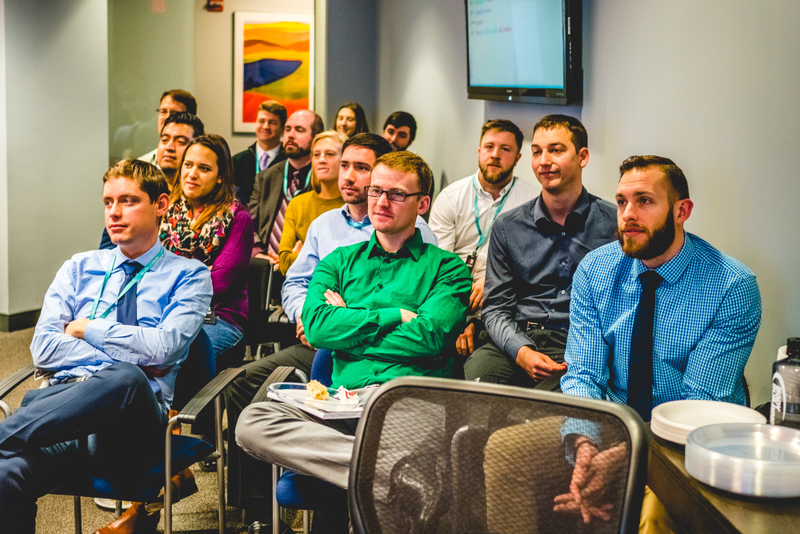 TTI is held the second Tuesday of every month at the Technomics Headquarters in Crystal City, Virginia. If you are interested in attending a TTI session, please contact Peter Braxton andMaggie Dozier at tti@technomics.net. Technomics is an employee-owned consulting firm with over 30 years' experience helping our clients make better decisions faster. Our staff of multi-disciplined, quantitatively-oriented decision analysts deliver a variety of analytics-based service offerings that meet our clients' varied needs. Excellence in cost estimating and cost analysis forms the center of our service offerings, which include Alternatives Evaluation, Program Management, Cost and Schedule Analysis, and Analysis Tools, Standards, Training, and Policy. Our team of engineers, mathematicians, statisticians, and other quantitative professionals apply decades of data analytics and visualization experience to ensure client success. Trust Technomics' expertise to help you make better decisions faster. Maggie Dozier joined Technomics in August 2015. She works as an analyst in the area of Analytics-Based Alternatives Evaluation (AAE) and is the chairperson for the Technomics Training Institute (TTI). For more information about The Technomics Training Institute, please email tti@technomics.net.